The owner of Home Instead Senior Care in Galway has called on the Government to extend the Fair Deal nursing home scheme to be extended to allow it to cover the costs of home care. At the moment, the scheme only applies to nursing home care, but a TV documentary this week has sparked a campaign to have it extended in order to allow people to be cared for in their own homes, rather than in a nursing home setting. Brendan Courtney’s documentary, ‘We Need to Talk About Dad’ made an impact on viewers throughout the country on Monday evening. The fashion designer and presenter shared his family’s personal journey to help their father move from hospital to home after a stroke. Brendan and his family set out to navigate care options that would best suit the needs of the family. However, like most families in Ireland, they were presented with one option: to use the HSE’s Fair Deal Scheme to avail of nursing home care. Under this scheme, families make a contribution towards the cost of care and the State will pay the balance. “The reality of the situation is that a greater number of older people could avoid nursing home care and avail of home care services if the Fair Deal Scheme allowed for home care services to be offered as well as nursing home care”, commented Colman Gately, Owner and Managing Director of Home Instead Senior Care in Galway. Home Instead Senior Care is Ireland’s largest home care provider and has provided professional home care services in Galway since 2006. A recent survey conducted last year by the home care provider revealed 77 per cent of older people would prefer to live at home with assistance and 14 per cent would move to a nursing home. Similarly, a Claire Byrne Live poll conducted by Amárach Research of 1,000 adults were asked revealed 85 per cent of people would prefer to be cared for their own home. 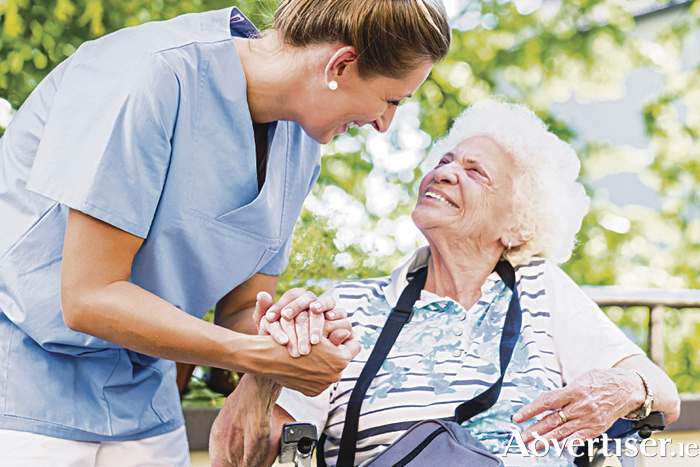 Commenting on home care services, Colman Gately said: “Home care offers one-on-one care. A professional caregiver will support the older person in any way they can, this support can include personal care such as bathing or something as simple as companionship and light housekeeping – the home care service is tailored to the needs of the family. It is the preference of most families, but unfortunately many older people do not have the option to choose between home care and nursing home as the Fair Deal Scheme does not currently allow for home care”. “Without having a choice of care options it is very difficult for families to feel they are doing what is best for mum or dad. As Brendan Courtney said in the last night’s documentary, to do right by the people you love is the best you can do. This is something most families aspire to achieve for their older loved ones and at the very least want to option to investigate and select the care option that meets their needs”, he continued. While the Fair Deal Scheme currently only provides for nursing home care, the Irish Government provides tax relief of up to 40 per cent of the cost of care (if they are paying tax relief at the marginal rate of 40 per cent ) and those paying income tax at 20 per cent may be entitled to a tax relief of 20 per cent. The tax relief may be shared among family members paying for home care services up to a total of €75,000. For example, your husband or wife’s pay, your brother or sister’s pay, your son or daughter’s pay or your son-in-law or daughter-in-law’s pay. You simply put the bill for your care in their name and then they can claim the cash back through their salary.